Do you fancy a new challenge? Enjoy working as part of a team as well as offering great patient care? We currently have the vacancies below. 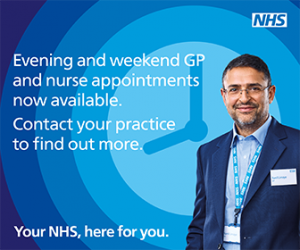 However, if none of the available match your experience please feel free to forward your CV to Kieran.morris@nhs.net. We may have a post coming up which would suit you perfectly! The Partnership is a very innovative and progressive NAPC PCH (Primary Care Home ), always looking to be at the forefront of primary care and committed to improving and delivering high quality patient care. We offer training and development within a supportive, family ethos environment, continuous improvement lay at the heart of our practice and we are keen to offer all to our team for a fulfilling career. We are currently seeking an Administrator to join our admin team at Bedgrove Surgery; the post is full time, 37 hours per week. Every day within our surgery is different, challenging and interesting. You will need to have excellent interpersonal skills and the ability to cope well under pressure to join our busy team. Completing paperwork and forms from patients and outside agencies including processing Insurance Report requests opening, prioritising and distributing all incoming mail and dispatch outgoing mail to meet deadlines. Supporting the clinical team with admin duties. Do you have a passion for helping people be more active, stay independent at home, eat well, stop smoking, connecting people to community groups or statutory services for practical and emotional support to be healthier and happier, enjoy a holistic care approach? If so, you may be interested in our new post as a Full Time Social prescriber! If you are interested in joining an innovative, forwarding thinking practice please contact me!